White and Obsolete Discontinued Colour Baths. Many Sizes. Low Trade Prices. Pink Blue Green Beige Soft Cream Yellow Old Colour Baths In Stock Popular in the 70s 80s 90s. 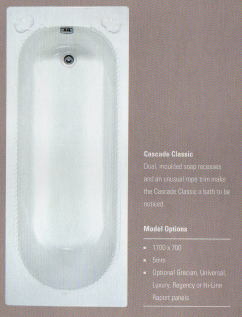 WHITE aND OBSOLETE RETRO COLOUR BATHS IN STOCK. Please Contact Us For Availability. 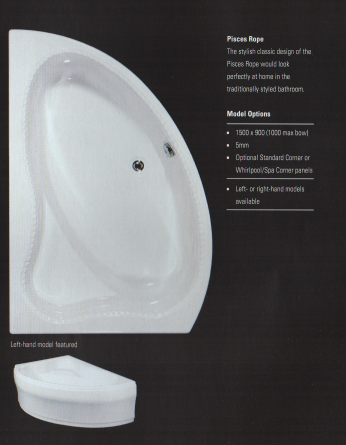 JSL Bathrooms Specialists In Discontinued and Obsolete Old Bathroom Colours Baths Page. 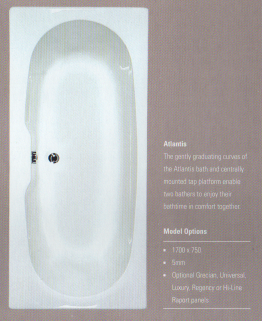 Octavia Luxury Bath In White. Available In 1700 X 700mm. 1700 X 750mm. 5mm Thick And 8mm Thick Acrylic. 1700 X 700mm. 1500 X 700mm. 1800 X 800mm. 1700 X 750mm. 1400 X 700mm. 1400 X 850mm. 1600 X 700mm. 1700 X 900mm. 1100 X 1100mm. 1200 X 1200mm. 1300 X 1300mm. 1450 X 1450mm. Approximate Offset Corner Bath Size... 1500 X 1000mm. Options Acrylic Bath In Sunking. 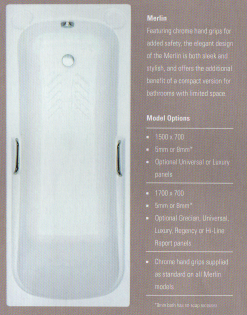 Merlin Acrylic Bath In Kashmir Beige. 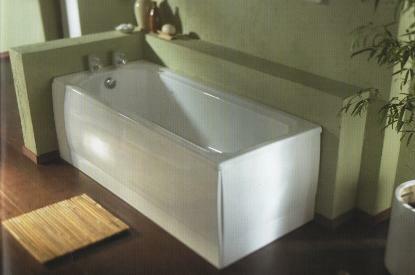 Double Ended Acrylic Bath In Soft Cream. 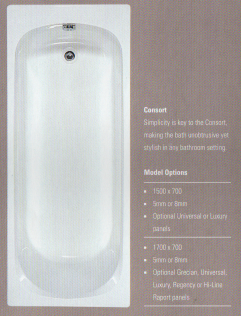 Consort Acrylic Bath In Whisper Grey. Twin Grip Acrylic Bath In Bermuda Blue. ICI Perspex Bath In Primrose Yellow. Please contact us and we will check our stock for your request. 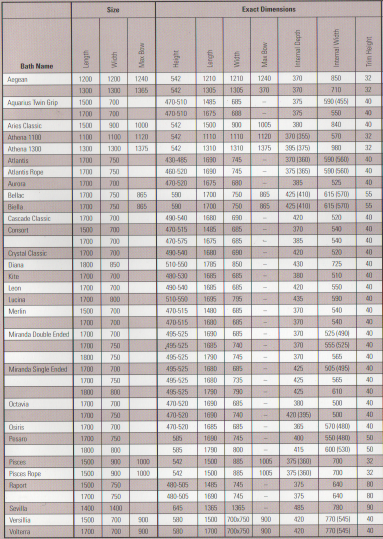 This is a small sample of our many ranges. PICTURED. 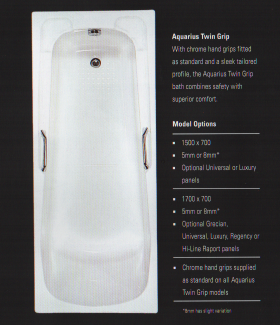 Some Of Our More Popular Aquarius Baths. PICTURED. 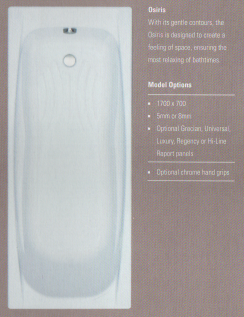 Aquarius Bath Specification Sheet. 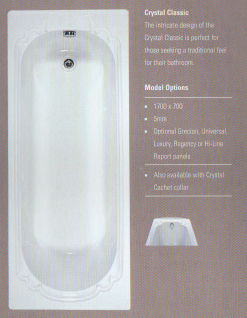 We stock a huge range of discontinued colour baths. Many Shapes and Sizes. Acrylic, fiberglass and Pressed Steel. Branded Name British Manufacturers like... Aquarius. Spring Bathrooms. Shires. Trojan. Heatons. ICI. Fordhams. Esmaltal. And More. Baths in Champagne Whisper Grey Whisper Pink Indian Ivory Soft Cream Avocado Pergamon Wild Sage Whisper Blue Cornflower Sun King Primrose Harvest Gold Burgundy Damask Pampas Turquoise Sky Blue Bermuda Blue Pebble Stone Slate Jade Green Jade Blue Sorbet Kashmir Beige Sepia Misty Peach Alpine Blue Haze Agais and Many Many More. 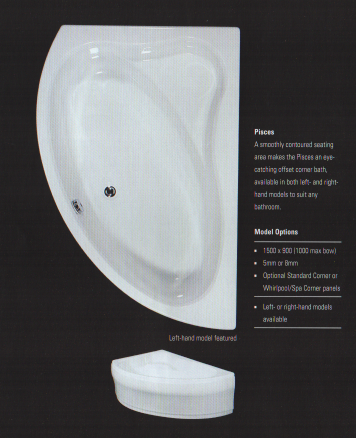 For Our Selection of White Acrylic Baths Please Follow The link Below. 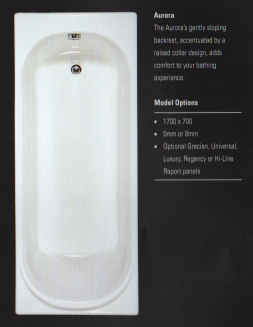 Baths on the suites pages can be sold Separately. 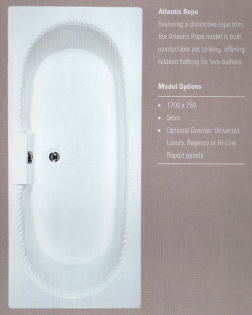 Please Note That The 'Highlander' and The 'Paradise' Baths and Suites Are Available in Off white Only. 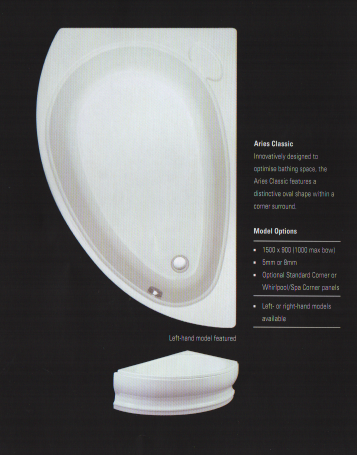 NOTA BENE: ALL SIZES ARE APPROXIMATE DUE TO SOME MANUFACTURERS PRODUCING THEIR BATHS TO IMPERIAL MEASUREMENTS. NATURALLY THIS HAS AN EFFECT ON THE METRIC CONVERSION. Discontinued Obsolete Retro Colour Baths. British Made From Acrylic, steel and fiberglass. 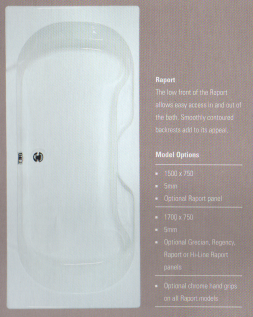 1675 1680 1685 and 1690mm baths are generally refereed to as being 1700mm. sixty six and sixty seven inches. Champagne. Whisper Grey. Soft Cream. Pergamon. Whisper Blue. Alpine Blue. Whisper Pink. Jade Green. Burgundy. Avocado. Primrose. Esmaltal Metal Baths. 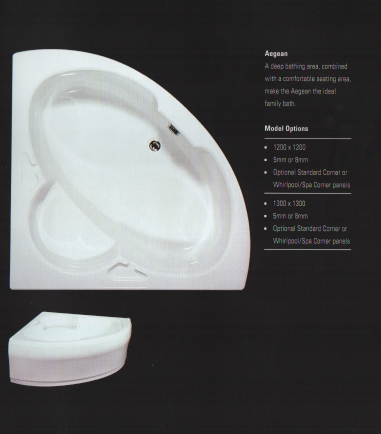 Aquarius and Spring Ram Plastic Baths. Wild Sage. 1500mm x 700mm. 1700mm x 800mm. Kashmir Beige.